Perform complex analysis on data with ease. 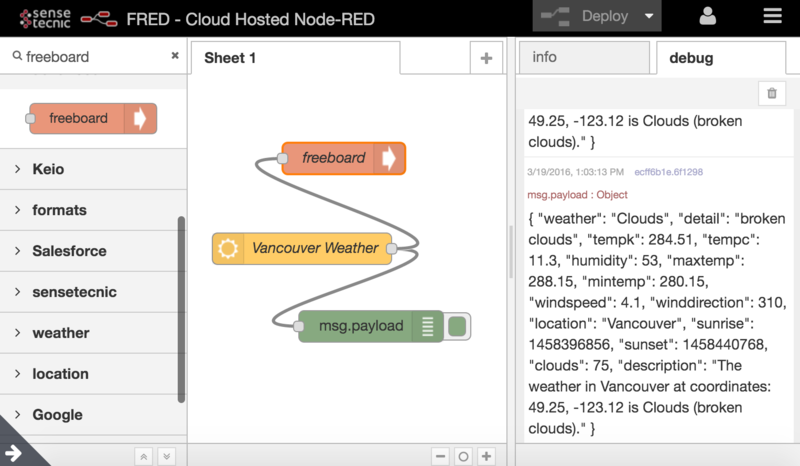 If you’re new to Node RED you might find our Introduction to Node RED tutorial very helpful. In a previous tutorial (post data to dweetio using fred) you learned how to build a simple Node Red flow using Dweetio. 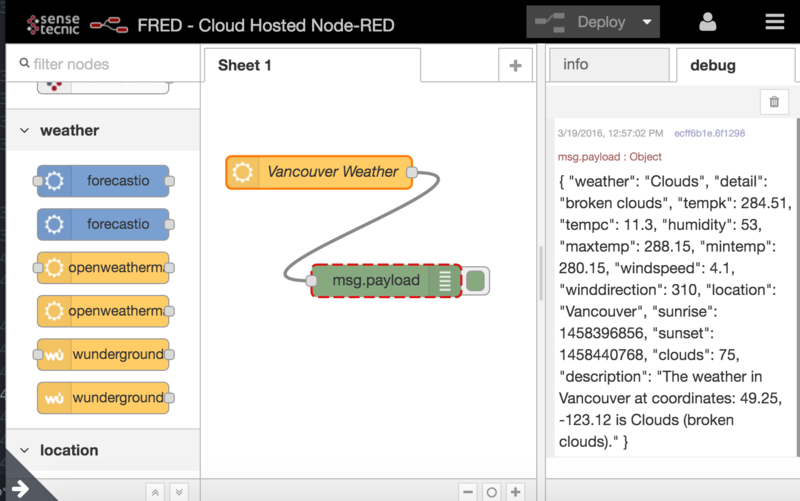 This tutorial will teach you how to build a similar Node Red Flow that requests data from a web service and visualizes it; all from FRED. One of the great advantages of FRED is its great palette of nodes that integrate with different web services. 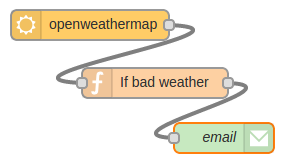 One of such services is OpenWeatherMap, which allows you to access weather data easily. 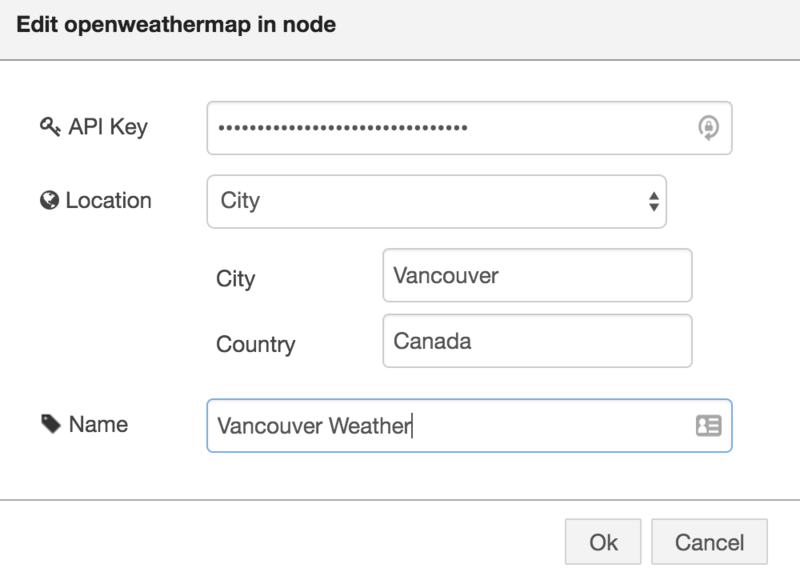 To begin, head over to http://openweathermap.org/ and register for an account. It’s FREE! When you register/login you will be able to access your API Key, we will use this key in Node RED. As you can see, the data is already in JSON format; so we can use any of the values very easily. Let’s build a dashboard to visualize our data. Another great node available by default in FRED is the “FreeBoard” node that allows you to create visualizations very easily. Find the “freeboard” node in the left pane by either browsing through the nodes or searching for it using “filter nodes”. Add it to the flow. Double click on it to give it a name, like so. 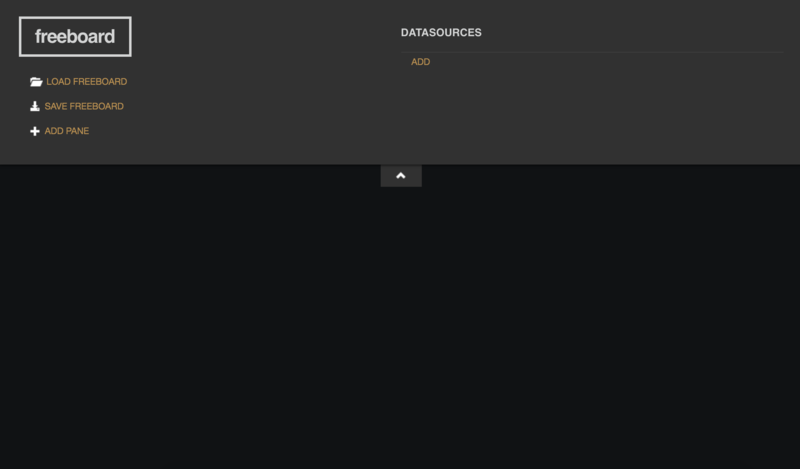 This tab will allow you to create visualization FreeBoards, save them and load them. Let’s create a visualization of our weather data. 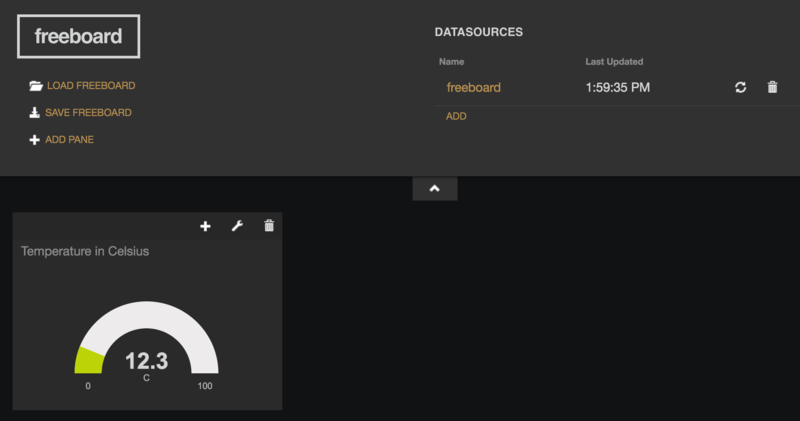 We first need to add a datasource to our freeboard. Click on “Add” under “DATASOURCES”. 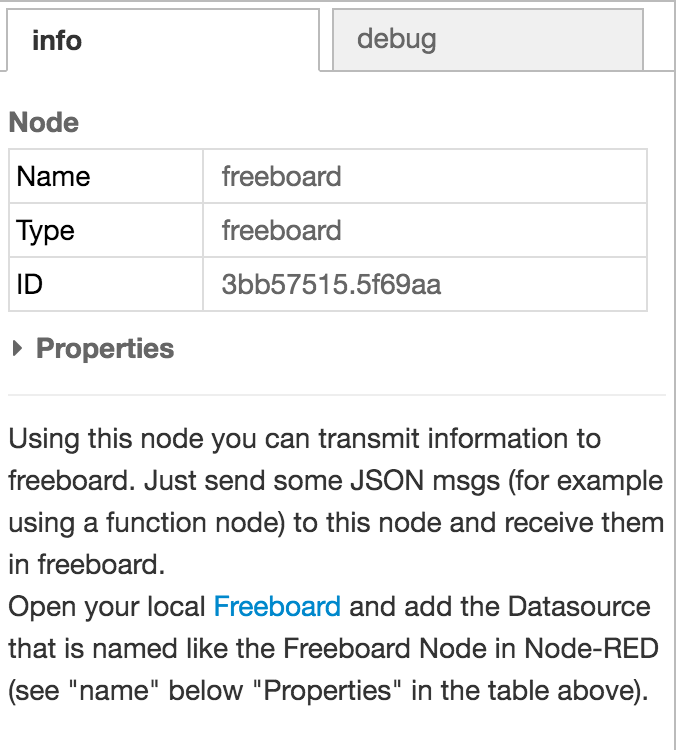 Under “type” select the name of the “freeboard” node we configured above. In our case we named it “freeboard”. 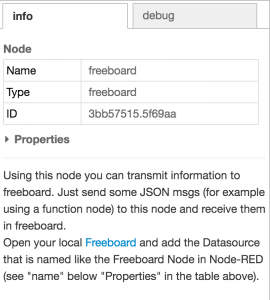 This will allow us to access ANY data we connect to the “freeboard” node in Node RED. Click on OK. Which will build your widget and add it to the pane you created!